Despite the IRS e-file shutdown period, you could still e-file your Pro-rated HVUT Form 2290. New Year is right around the corner. New Year’s is the perfect occasion to celebrate Love, friendships and all the good things in life. Let’s take the time to appreciate what this year has given us and what the new one is about to bring! A new year means new beginnings, love, chocolates, and warm wishes for your friends and family. Now at this joyous time, we would like to remind you about the forthcoming Pro-rated HVUT Form 2290 Deadline and the IRS year end maintenance period. 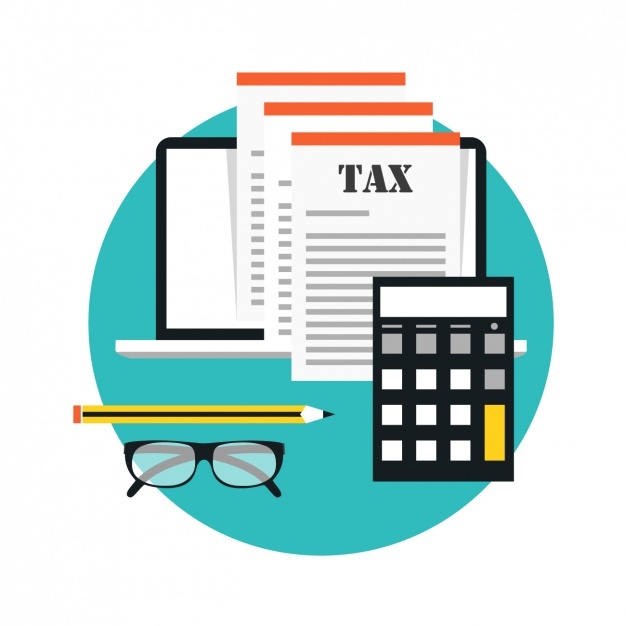 Every year, during the Christmas Eve, the IRS online servers will turn offline with a motive to upgrade their e-file systems in order to accept tax returns for the following tax period (For the period beginning July 1st, 2019 through June 30th, 2020). Now any tax returns e-filed during this downtime will be processed until the IRS recommences full operations, which is expected to turn up during the 2nd week of January 2019. However, that doesn’t mean that you simply can’t e-file your tax returns right now, you could have it e-filed right now and wait until the IRS recommencement before receiving the IRS digital watermarked copy of Schedule 1 in your registered e-mail address. The Federal law states that the Form 2290 must be e-filed on a vehicle by the last day of the month following the month of its first use. 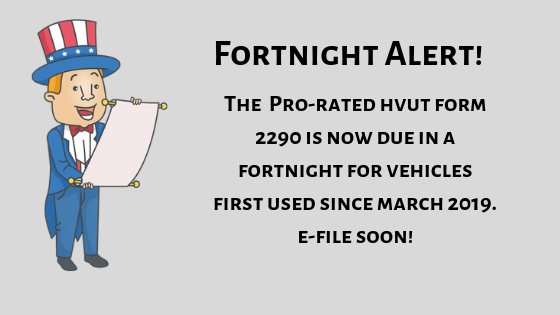 On that basis, now the Form 2290 is due by Dec 31st, for vehicles first used since November 2018. E-file before the deadline. Failure to E-file the Form 2290 before the deadline might end up in owing the IRS a penalty for late in filing & payment. 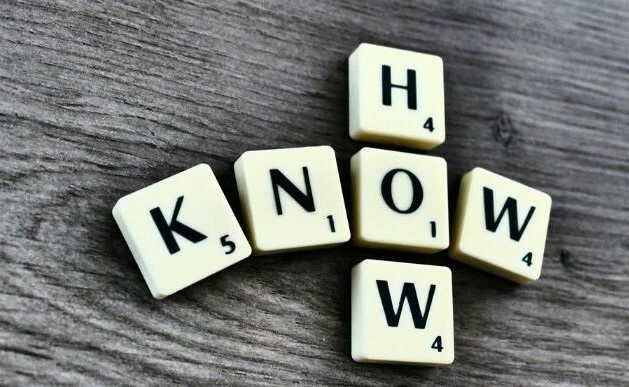 This penalties might fluctuate between 3 to 5% of the overall tax due owed on your vehicle and the worst part is the interest will accumulate on daily basis as long as you prolong the lateness beyond the desired deadline assuming it as an extension. 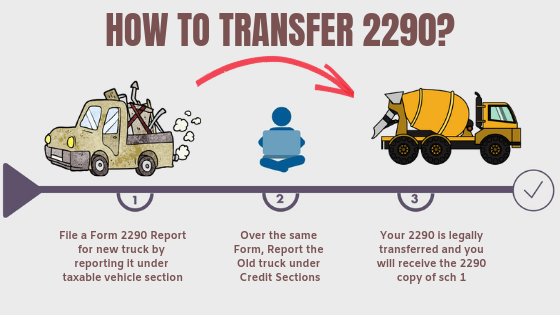 In the first place we would like to make our dear truckers aware that there has been no extensions for Form 2290. Truckdues.com has been rated to be one of the moist efficient & cost effective websites which makes the e-filing process easy even for beginners. There are no complex calculations involved as our application bears that part on your behalf as it has an inbuilt tax calculator for your convenience. Soon after you enter your vehicle information, our application would calculate the tax due amount of the vehicle reported. We wish everyone a Happy New Year. Live chat with our tax representatives. 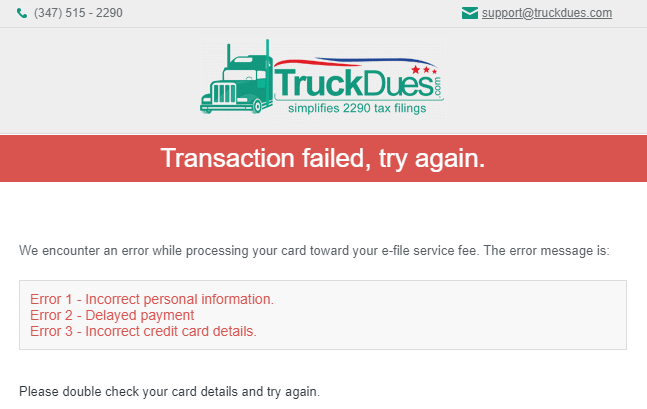 This entry was posted in 2290 e-file, EIN, Form 2290, Truck Tax Online and tagged ein, Form 2290, Happy New Year, HVUT, IRS, IRS Tax Form 2290, New Year wishes, Pro-rated HVUT, Tax dues on December 27, 2018 by Truck Dues. At Truckdues We wish you a Merry Christmas & A Happy New Year! It’s time to trim the trees, wrap the gifts, and bake the cookies. We’re eagerly awaiting the arrival of Christmas! As we count down to the merriest day of the year. Usually the holidays are a time for reflection, for growth, for gratitude, and for renewing our commitment to our goals with fresh vigor. Beyond the consumptive overdose of presents and the presence of family and friends that accompany us during Christmas and New Year’s eve; It is helpful to remember to take some time to be thankful, to literally be present amongst the people who matter most in our lives, and to find some time for solitude to gather the inner strength that will carry us onwards and upwards in the new year. 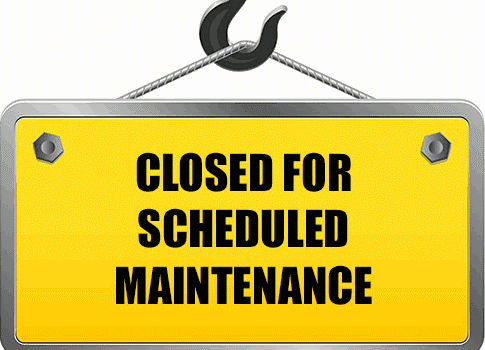 Now during this downtime, the IRS servers will not be able to process or accept any e-filed tax returns until the maintenance period is officially ceased by the IRS. 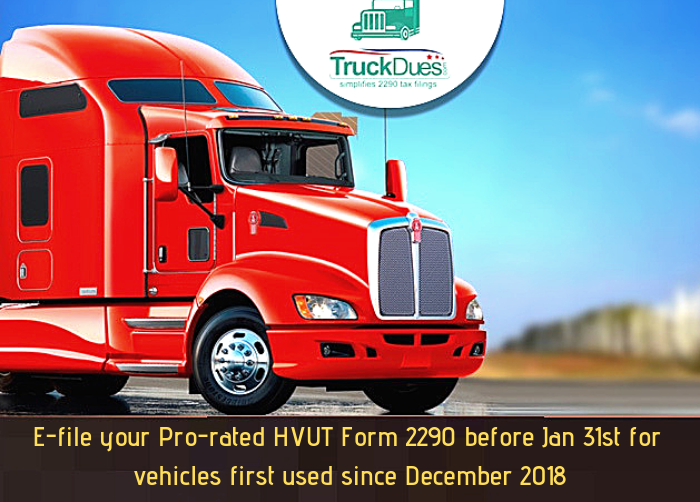 Besides, we got a near term HVUT Form 2290 deadline by Dec 31st, 2018 for vehicles first used since November 2018. 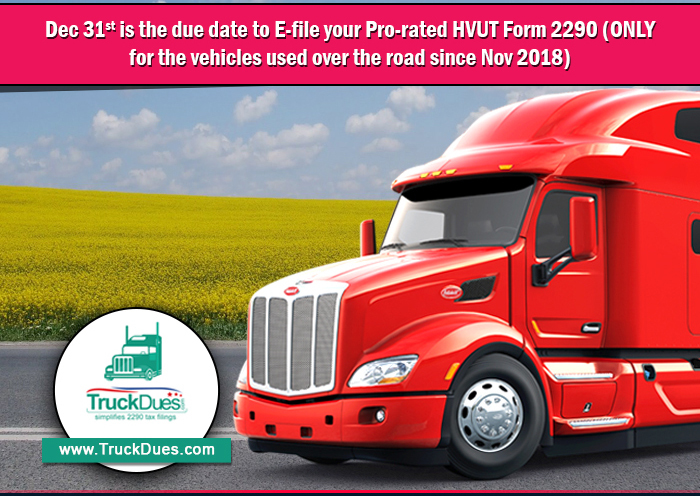 Hence, we recommend you to e-file your pro-rated HVUT Form 2290 before the IRS shutdown period to avoid any delays in getting your tax return processed. This entry was posted in 2290 e-file, American Trucking, EIN, Truck Tax Online and tagged Form 2290, Happy New Year, HVUT, IRS, IRS shutdown, Long Holiday, Merry Christmas on December 21, 2018 by Truck Dues.